Dragon Quest 11: Echoes of an Elusive Age is coming to Nintendo Switch next year, in Japan at least. At this weekend’s Jump Festa event in Japan, Square Enix released the first teaser trailer for Dragon Quest 11 S for Switch, showing off Japanese-language voice overs for the game. When Dragon Quest 11 was originally released in Japan on Nintendo 3DS and PlayStation 4, the role-playing game did not include voiced characters. Square Enix added English-language voice over for the North American release, as well as a handful of new gameplay options. When Dragon Quest 11 S is released in Japan next year, the game will include something new that affects the ending of the game. [Warning: Spoiler alert!] Now, instead of being locked into a single marriage choice, players will have the option of choosing their bride. 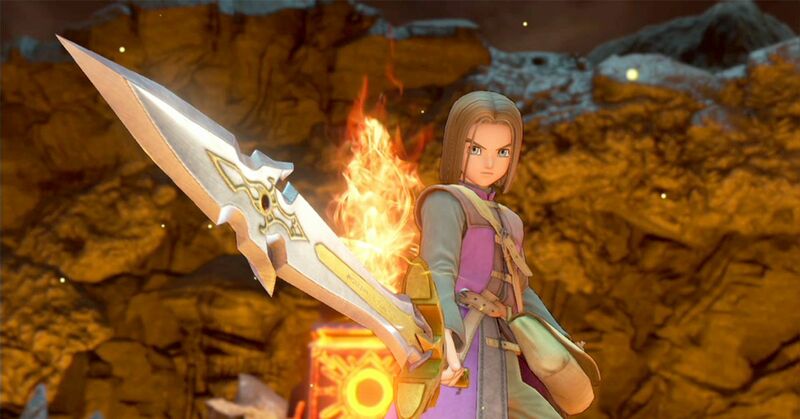 Players can also choose to live with two male characters, Erik or Hendrik, Dragon Quest creator Yuji Horii said in an interview with Famitsu. Square Enix said it plans to reveal more details on the Switch version of Dragon Quest 11during a livestream in January. We’ve reached out to Square Enix for an update on the North American release of Dragon Quest 11 S on Switch and will update when the company responds. Dragon Quest 11: Echoes of an Elusive Age is available now on PS4 and Windows PC. The JRPG came in at No. 30 on Polygon’s best games of 2018. PlayStation Plus gave out more than $1,500 in free games. Were they worth it? Xbox Games With Gold gave out $850 worth of games in 2018. Were they any good?